If you’re unhappy with your current orthodontist, it may be time to search for a new one. 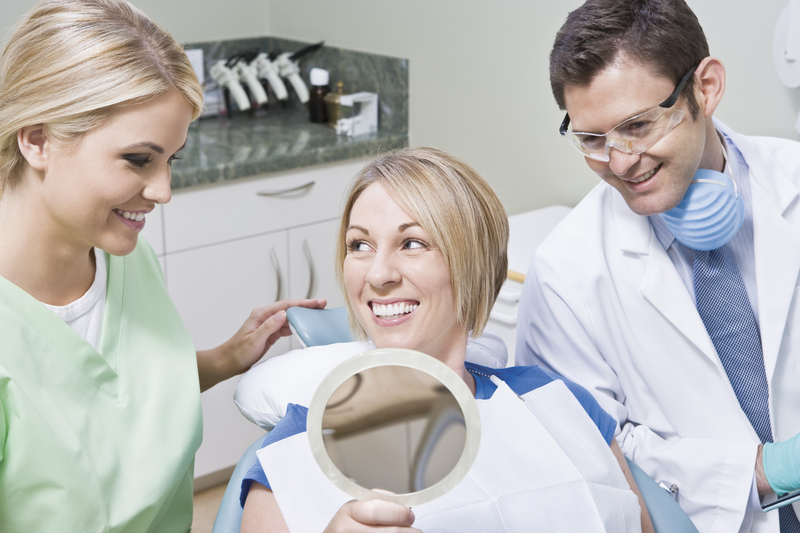 Your dental care team must possess certain qualities, and it’s important you know what to look for to ensure you’re satisfied with treatment. Here are just a few key factors to consider when you’re searching for a new orthodontist. An orthodontic appointment should be timely and efficient. It takes an experienced clinic to offer just that, which means patients can receive their treatments and get back to their life at a much swifter pace. When contacting a clinic, ask how long procedures take on average. Also ask if they often run behind schedule. Lengthy wait times could indicate an overworked staff, which might negatively impact the quality of your orthodontic care. Some clinics tack on extra charges for services, such as repairing loose braces, replacing broken appliances or replacement retainers. These hidden costs can greatly increase your bottom line. Make sure you understand how pricing works before choosing a clinic. Look for someone who offers upfront pricing, for complete services, to ensure you’re being treated fairly. Patients often get lost in the shuffle at bustling dental care clinics. If you have questions about a treatment or a problem arises, tracking down your doctor can be difficult. Conversely, many smaller clinics make it a point to offer individualized care. Instead of simply being a name on a chart, your orthodontist will be familiar with you and your dental history, which is essential for developing a treatment. In the Coulee Region of Wisconsin, Mosling Orthodontics has made a name for itself by exemplifying all of the above characteristics. As a trusted orthodontist, Dr. Michael Mosling addresses each patient on an individual level to ensure their needs are met. All work is performed in-house, which greatly reduces your wait time for aligners and other treatments. In terms of procedures, this team can help with impacted teeth, crowding, and problems with jaw alignment by using the latest technology and techniques. Schedule an appointment for you or a loved one by calling (608) 782-1950 today. You can also find out more about their services by visiting them online. Is There an Age Limit for Braces? How Do Braces Affect the Ability to Play Musical Instruments?